The Eureka Heritage Society will provide leadership, education and advocacy that preserves and enhances Eureka’s irreplaceable historic structures and neighborhoods so as to ensure a legacy for future generations. The Eureka Heritage Society was established in 1973, by a number of Eureka citizens who felt our local architecture was something special, something worth preserving. Although other organizations have been organized to research and record the history of the City and its people, the Heritage Society launched a project to survey Eureka’s rich architectural heritage in order to provide a solid foundation on which future planning decisions could be based. The result is the book, Eureka: An Architectural View. The survey of Eureka’s architecture was a twelve year effort that involved virtually the whole community… volunteers, concerned citizens, architectural historians and preservation specialists. Each of Eureka’s 10,000 structures was photographed and professionally evaluated for architectural and historical significance. A final group of 1600 buildings was selected to be thoroughly researched and documented. The entire Eureka survey has been recorded on microfilm and is available to researchers at the Humboldt County Library and at the Humboldt State Library. The late Dr. Walter Dolfini MD, served as the first president of the Society. Dolores Vellutini, Sally Christensen and Ted Loring, Jr. were instrumental in initiating the survey and directing the efforts of more than one thousand volunteers. 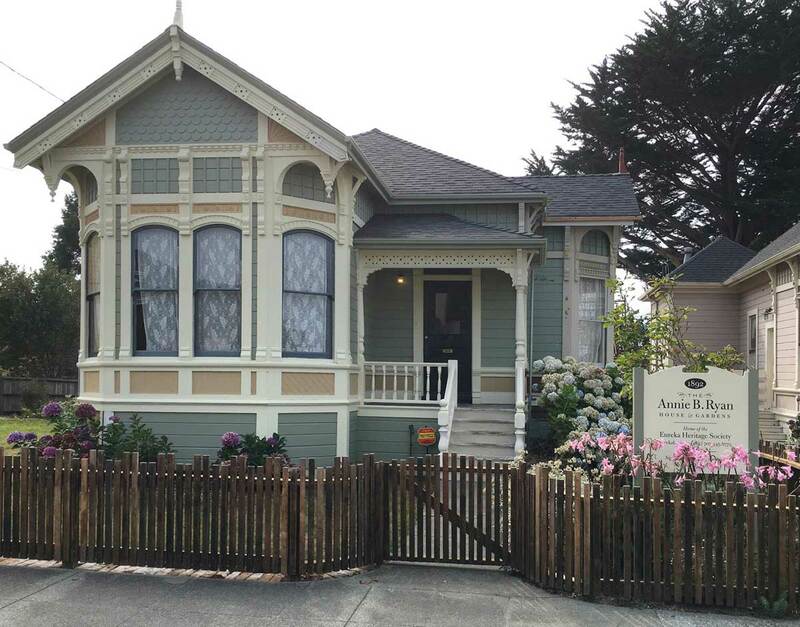 The Eureka Heritage Society continues to focus its efforts on activities that reinforce the community’s sense of historical identity with its unique architecture. Tours of Eureka homes and commercial buildings, educational meetings, conferences and seminars, as well as active participation in preservation projects are important segments of the Society’s agenda. The continuing challenge to the Society and the community-at-large is to channel energy into actions which will promote the wise use of the City’s most precious under-developed resource… its magnificent historic buildings.